For Atlanta homeowners, concrete is one of the most long-lasting and affordable material choices for new driveways. Made from cement, small rocks, sand and water, concrete is incredibly durable and can last for several decades with minimal, if any, maintenance when properly installed. Because of concrete’s durability, they hold particularly strong in hot climates—perfect to withstand those hot Atlanta summers. The cost of related materials and supplies typically needed to install a concrete driveway include the concrete itself, reinforcing materials, isolation materials, chemical release agents, a compactor, and permits for the construction process. When preparing a driveway quote, contractors must factor in the mixer trucks needed to actually deliver the concrete to the project site. Some driveway installation jobs may require specialty equipment, in which case a daily equipment allowance would be factored in to cover the rent. When replacing a driveway, Sudlow Concrete pours concrete that is 4”-5” thick, which after 28 days, cures (finishes) to a strength that will support 4900 lbs per square inch. 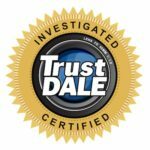 We use a higher-grade product than others in the industry which allows us to give a 10-year warranty to all of our clients. The concrete is also reinforced with monofilament micro fiber and steel rebar every 36 inches. If we are extending a driveway, we insert doweled rebar into the old concrete to prevent shifting. Control joints are an important part of the driveway. Control joints are the lines that separate your concrete into sections of your patio or driveway. Control joints help to interrupt the surface tension created by the expanding and contracting of the concrete due to fluctuations in outdoor temperatures. Most builder grade driveways have 20’ or more separating the sections. Sudlow Concrete installs control joints every 8’ – 10’, which dramatically reduces the chance for cracking. The basic labor that’s included in the cost of a driveway includes mobilization of materials and crew, basic preparation of the site, removing soil, setting forms, and pouring concrete. Many driveways can be installed with basic labor considerations but there are many other additional considerations and driveway options that can increase the final price. Before any work can begin, the project area must be clear of any dirt, trash, wood, and other potential contaminants. Tree roots are one of the leading causes of concrete driveway damage, therefore any tree roots that are impacting the driveway will be removed and taken to a recycling center. If replacing a driveway, the old concrete or asphalt will have to be removed and also taken to a recycling center. Drainage preparation is extremely important to consider before laying a driveway, so water and rain can safely exit the driveway and on to the road. Driveways that are laid without proper drainage can force rain into the house or garage and cause rotting, flooding, and cause other damages. There are several options to direct drainage include sloping, curves, retaining walls, drains, and more. The drainage recommendations and associated labor and material price implications can only be given if a contractor actually sees and inspects the property site. Depending on the particular driveway project, there might be varying degrees of site preparation and landscaping activity that may be required before installation that can affect the cost. Sometimes driveway installation projects can require more involved preparation including excavation of the site, hardscape demolition, landscaping, installing a gravel base layer and more. To understand any additional site preparation costs, if any, a contractor should inspect the site in person. Price of concrete driveways can vary based on different pouring choices for concrete, but can give the driveway a distinguished look. The most basic and common pouring option is a solid slab which requires a very simple installation. Other pouring options can be built on wooden forms to give the driveway a different shape or form large squares to minimize the chance of cracking over time. Because the driveway is one of the most prominent elements that frames the front of the house, some homeowners will choose add an upgraded finish to give the driveway character and personality. Options for finishes could include a textured surface, driveway aprons, stamped concrete, border options, connecting walkways, or alternative color options. If you are considering a driveway replacement in the Atlanta area or surrounding suburbs, contact Sudlow Concrete for a customized quote. Our experts will visit your residence or other location to inspect the property and break down a specific price estimate. Contact us here or call us at (404) 285-5995 to speak with a team member today! We look forward to hearing from you.